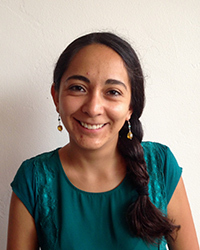 Elma I. Lorenzo-Blanco is a bilingual (English/Spanish) Assistant Professor in the Human Development & Family Sciences department at the University of Texas at Austin. Prior, she was in clinical/community psychology in the Department of Psychology at the University of South Carolina (USC), where she investigated socio-cultural and community-based determinants of Latina/o youth well-being. Before joining USC’s Department of Psychology in 2013, she earned her PhD in Clinical Psychology and Women’s Studies at the University of Michigan through the support of a NIDA T-32 pre-doctoral fellowship with the University of Michigan Substance Abuse Research Center. One of her career goals is to become an independent NIH-funded investigator of culture, gender, and Latina/o youth mental health and substance use to conduct school-based panel and intervention research with Latina/o youth across contexts. She is also interested in using her research to inform policy. Dr. Lorenzo-Blanco is confident that her participation in the IRTI will allow her to work towards becoming an independent NIH-funded researcher by expanding her research network, gaining access to NIH-funded mentors, and acquiring training in grantmanship and Hispanic drug abuse. 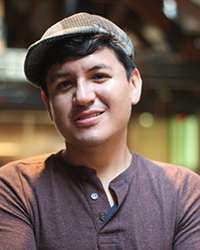 Oswaldo Moreno received a BS from Arizona State University in 2008 and an MA and PhD from Clark University in 2011 and 2015, respectively. He was subsequently at Boston University School of Medicine, where he completed his predoctoral fellowship in 2015 and is currently a postdoctoral research fellow at Brown University. Dr. Moreno’s research focuses on understanding and addressing the mental healthcare disparities in the United States that continue to disproportionately affect individuals from low-income and racial/ethnic minority backgrounds. His research program includes both applied and basic research that lie at the intersection of cognitive-behavioral theories, motivation interviewing, and cultural and contextual approaches including psychology of religion and spirituality variables. While at Brown University, current research projects include randomized control trials, evidenced based practices, culturally sensitive interventions, early interventions for AOD use among Latino youth, as well as proximal and cultural variables that impact the substance use and mood disorders among Latinos in the United States. Cardemil, E. V., Moreno, O., & Sanchez, M. (2011). One size does not fit all: Cultural considerations in evidence-based practice for depression. Treatment of Depression in Adolescents and Adults, 221-243. Tara Perkins is a PhD student at Arizona State University, College of Nursing and Health Innovation. She is a member of the Center for Health Promotion and Disease Prevention. Her academic focus is in Health Psychology research. Tara completed her BA in 2012 at San Diego State University and she plans to complete her dissertation by the fall of 2018. Tara’s research uses the biopsychosocial model and Lazarus-Folkman’s stress-coping framework to analyze stress and coping responses within two contrasting groups: community leaders and inpatient recovering drug addicted males. 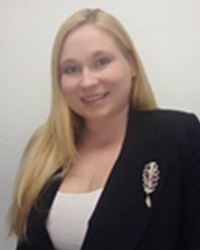 Tara initiated her research in the field of Hispanic health in 2011 in a study of acculturation and stress among undergraduate college students living in Calexico-Mexicali sister cities that are located near the US-Mexico border. Tara’s career goal is to become a tenured faculty member at a research-focused university, with a faculty position within an interdisciplinary department/college. After completing her PhD, Tara plans to apply for post-doctoral research positions and then to a tenure track faculty position. Miguel Pinedo is an assistant professor at the University of Texas at Austin. Prior, he was a postdoctoral fellow at the University of California, Berkeley and an Associate Scientist with the Alcohol Research Group, a NIAAA-funded national research center. He earned his PhD in Public Health from the University of California, San Diego. His research focuses on better understanding the intersection between migration and health as it relates to alcohol and drug problems and HIV risk among Latino populations. Dr. Pinedo’s research has primarily focused on vulnerable Latinos living on both sides of the US-Mexico border, a high-risk environment for HIV and substance abuse. 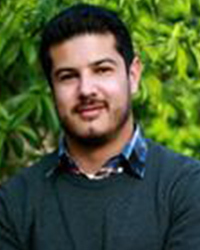 His dissertation research investigated social and structural factors associated with deportation that increase risk to HIV among deported Mexican migrants who inject drugs post-deportation. Dr. Pinedo’s work expands the focus from individual-level factors that influences health outcomes and underscores the importance of migration-related factors in shaping risk behaviors among Latinos. Claudia Rafful is a PhD candidate in Public Health, with emphasis on Global Health at the Joint Doctorate Program at San Diego State University and University of California, San Diego. She studied psychology at Universidad de las Américas, Puebla, in Mexico and holds a Masters in Substance Misuse at the University of Sussex, Brighton, UK. She has collaborated for over 7 years with researchers at the National Institute of Psychiatry in Mexico, as well as the New York State Psychiatric Institute. As a result, she has gained experience in psychosocial and epidemiological research with Mexican and American populations, specifically on substance use and mental health. While in the PhD program, she has collaborated and led research related to cannabis legalization in Uruguay, substance use among Mexican adolescents, and social epidemiologic research with people who inject drugs (PWID) in Tijuana, Mexico. 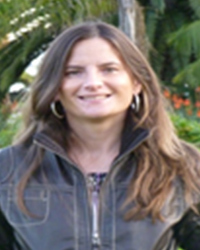 Her dissertation is focused on involuntary drug treatment among PWID in Tijuana using a structural violence framework and a mixed-methods approach. After obtaining her PhD degree, she wants to continue working in research that informs drug policy reforms in Mexico and elsewhere in Latin America. 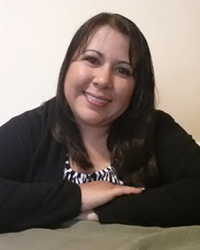 Eden Robles has a background in social work, with training on qualitative research methods, health services and service user evaluations, and qualitative data analysis with an emphasis on alcohol health related disparities with Latinos. She is interested in treatment seeking experiences and health service practices. As a research associate on several university- and NIH-funded grants, she has laid the groundwork for the proposed research grant by investigating the social, cultural, and other psychosocial factors relevant to Latinos on the US/Mexico Border. In addition, she is serving as a co-investigator successfully administering follow-up research projects (e.g. the experience of change associated with alcohol recovery) by collaborating with other researchers, and community members. As co-investigator, she is responsible for developing a mentor-guided research plan, timeline, and budget. 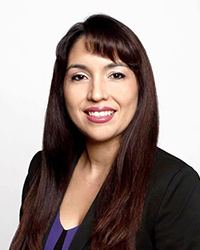 Mayra E. Vargas-Rivera is the Project Director for clinical research projects under the Health Behavior and Policy Initiative (HBPI) at the School of Integrated Science and Humanity at Florida International University. Originally from Camuy, Puerto Rico, Dr. Vargas-Rivera completed her BS degree in Biology at Iowa State University before earning her MD from Ross University School of Medicine. She has extensive experience in implementing and conducting research with a focus on minority populations experiencing health disparities, as well as teaching clinical research methodology. As part of HBPI, she is committed to addressing the needs of populations that have been disproportionately burdened by the epidemic of HIV, tobacco, and/or alcohol abuse, and has a strong interest in research that makes a difference in improving outcomes that will achieve health equality. Dr. Vargas-Rivera has also worked for the landmark Hispanic Community Health Study/Study of Latinos at both the Northwestern University and University of Miami Field Centers. Her other academic and research interests include stress and health behaviors, health and well-being promotion, as well as cost-efficiency of health care systems.